Sedentism refers to the decision made first by humans at least 12,000 years ago to start living in groups for long periods of time. Settling down, picking a place and living in it permanently for at least part of the year, is partially but not entirely related to how a group gets required resources—gathered and grown food, stone for tools, and wood for housing and fires. In the 19th century, anthropologists defined two different lifeways for people beginning in the Upper Paleolithic period. The earliest lifeway, called hunting and gathering, describes people who were highly mobile, following herds of animals such as bison and reindeer or moving with normal seasonal climatic changes to collect plant foods as they ripened. By the Neolithic period, so the theory went, people domesticated plants and animals, necessitating permanent settlement to maintain their fields. However, extensive research since then suggests that sedentism and mobility—and hunter-gatherers and farmers—were not separate lifeways but rather two ends of a continuum that the groups modified as circumstances required. Since the 1970s, anthropologists use the term complex hunter-gatherers to refer to hunter-gatherers who have some elements of complexity, including permanent or semi-permanent residences. But even that doesn't encompass the variability that is today apparent: in the past, people changed how mobile their lifestyles were depending on circumstances—sometimes climatic changes, but a range of reasons—from year to year and decade to decade. What Makes a Settlement "Permanent"? Identifying communities as permanent ones is somewhat difficult. Houses are older than sedentism, of course: residences such as brushwood huts at Ohalo II in Israel and mammoth bone dwellings in Eurasia occur as early as 20,000 years ago. 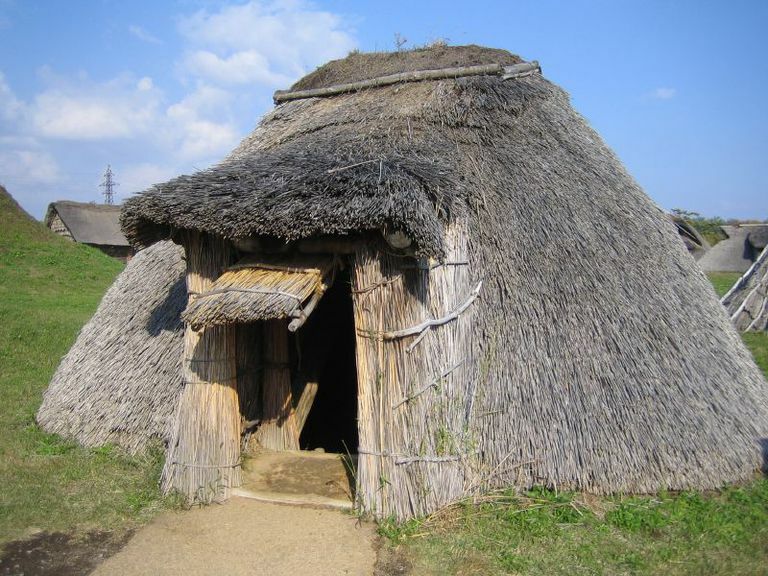 Houses made of animal skin, called tipis or yurts, were the homestyle of choice for mobile hunter-gatherers throughout the world for an unknown period of time before that. The earliest permanent structures, made from stone and fired brick, were apparently public structures rather than residences, ritual places shared by a mobile community who would visit for annual rituals. Examples include the monumental structures of Gobekli Tepe, the tower at Jericho, and the communal buildings at other early sites such as Jerf el Ahmar and Mureybet, all in the Levant region of Eurasia. Some of the traditional features of sedentism are residential areas where houses were built close to one another, large-scale food storage and cemeteries, permanent architecture, increased population levels, non-transportable toolkits (such as massive grinding stones), agricultural structures such as terraces and dams, animal pens, pottery, metals, calendars, record-keeping, slavery, and feasting. But—all of these features are related to the development of prestige economies, rather than sedentism, and most developed in some form prior to permanent year-round sedentism. The earliest potentially sedentary society on our planet was the Mesolithic Natufian, located in the Near East between 13,000 and 10,500 years ago (BP). However, much debate exists about the degree of sedentism. Natufians were more or less egalitarian hunter-gatherers, whose social governance shifted as they shifted their economic structure. By about 10,500 BP, the Natufians developed into what archaeologists call Early Pre-Pottery Neolithic, as they increased in population and reliance on domesticated plants and animals and began living in at least partially year-round villages. These processes were slow, over periods of thousands of years and intermittent fits and starts. Sedentism arose, quite independently, in other areas of our planet at different times: but like the Natufians, societies in places such as Neolithic China, South America's Caral-Supe, the North American Pueblo societies and the precursors to the Maya at Ceibal, all changed slowly and at different rates over a long period of time. Asouti E, and Fuller DQ. 2013. A contextual approach to the emergence of agriculture in southwest Asia: Reconstructing Early Neolithic plant-food production. Current Anthropology 54(3):299-345. Finlayson B, Mithen SJ, Najjar M, Smith S, Maricevic D, Pankhurst N, and Yeomans L. 2011. Architecture, sedentism, and social complexity at Pre-Pottery Neolithic A WF16, Southern Jordan. Proceedings of the National Academy of Sciences 108(20):8183-8188. Inomata T, MacLellan J, Triadan D, Munson J, Burham M, Aoyama K, Nasu H, Pinzón F, and Yonenobu H. 2015. Development of sedentary communities in the Maya lowlands: coexisting mobile groups and public ceremonies at Ceibal, Guatemala. Proceedings of the National Academy of Sciences 112(14):4268-4273. Railey JA. 2010. Reduced mobility or the bow and arrow? Another look at "expedient" technologies and sedentism. American Antiquity 75(2):259-286. Reed PF, and Geib PR. 2013. Sedentism, Social Change, Warfare, and the Bow in the Ancient Pueblo Southwest. 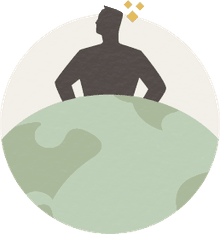 Evolutionary Anthropology: Issues, News, and Reviews 22(3):103-110. Rosen AM, and Rivera-Collazo I. 2012. Climate change, adaptive cycles, and the persistence of foraging economies during the late Pleistocene/Holocene transition in the Levant. Proceedings of the National Academy of Sciences 109(10):3640-3645.